The Town of Crested Butte’s efforts to increase awareness of mining law reform have paid off as the U.S. Senate has requested town representatives testify on Capitol Hill on Thursday, December 13. Town manager Susan Parker and Town attorney John Belkin first traveled to Washington, D.C. in September, and they met with Congressional representatives in hopes of being asked back to testify on behalf of reforming the Mining Law of 1872. The law allows the transfer of public lands for mining claims at the cost of $5 per acre. The trip proved successful as Senator Jeff Bingaman (Dem.-N.M.), chairman of the U.S. Senate Committee on Energy and Resources, has requested Parker and Belkin testify during the committee’s oversight hearing next week. The committee, traditionally focused on Western issues, has jurisdiction over energy policy, Indian affairs, public lands and their renewable resources, surface mining, and water resources. Several politicians from Western states serve on the committee, including Colorado Senator Ken Salazar (Dem.). "It’s a wonderful opportunity for the community to share with the committee members and the nation the issues related to the potential impacts of mining that could adversely affect Gunnison Valley’s water sources, recreational opportunities and way of life," Parker says of testifying. Crested Butte mayor Alan Bernholtz says the opportunity to testify is not only beneficial for the Town, but also encouraging for the nation as a whole, as mining reform has long been needed. Bernholtz will be joining Parker and Belkin in Washington. "I think (the Senate holding a hearing on mining reform) is a really good thing for the country—it’s bigger than our town," Bernholtz says. "It’s our country’s responsibility to keep its laws updated, and a law that is over 100 years old needs to be looked at." Congress has tried to amend the 1872 Mining Law several times in the previous 135 years, including 12 years ago, when both the House and the Senate passed reform bills, but Congress adjourned before the two chambers could reach an agreement. HR 2262 would apply to mines that extract minerals such as gold, copper, molybdenum and uranium from federal lands and would require mining companies to pay royalties to the government. The legislation would also set new environmental requirements for the hardrock mining industry and give local communities an increased role in federal land management decisions. According to Parker, current federal legislation governing hardrock mining does not provide local municipalities very much authority in protecting their resources, but proposed reform would change all of that. Crested Butte is the only small community testifying on behalf of local communities, Parker says. "At the very least, (testifying) will provide the opportunity to share our story and what a small town hopes to protect, and at the very most, (testifying) will affect reform that could help other communities to protect the same things we hold precious," Parker says. Senator Jeff Bingaman (Dem.-N.M.) and Senator Pete Domenici (Rep, N.M.), ranking member of the Energy and Natural Resources Committee, have both said that it is time to modernize the law, and have indicated that they intend to work together on a Senate version of reform legislation. The committee previously held a hearing on hardrock mining on September 27. A Senate bill has not been drafted as of yet. Parker and Belkin’s presentation will include a profile on the Crested Butte community, a history of mining in the area and the ramifications of it, and a synopsis of the Town’s efforts to protect the watershed. 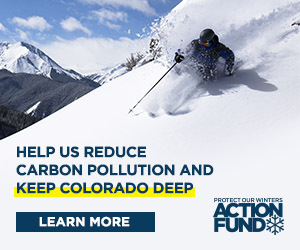 They will also explain how reform would assist the Town and local communities across the nation in their efforts to protect resources, and how Crested Butte serves as a model community for why reform is needed, Parker says. Their testimony will be given at 9:30 a.m. EST. on Thursday, December 13 and may be televised on CSPAN. Belkin and Parker are also preparing for potential intense questioning by the committee, which consists of 12 Democrats and 11 Republicans. "We’ll be prepared for anything," Parker says. According to Bob Salter, mineral resources director for High Country Citizens’ Alliance, any potential reform will experience a fight in the Senate because the Senate is filled with proponents of the mining industry, so Parker’s and Belkin’s message is very important. "They should let the Senate know the character and environmental quality (of the valley) is threatened by the current 1872 Mining Law and true modern reforms are needed to prevent damages we fear from the (Lucky Jack) mining proposal," Salter says. Parker says that although being asked to testify is an honor, continuous follow-up will be important to convince the Senate reform is needed.